COPENHAGEN IS ONE OF THE GASTRONOMY CAPITALS OF THE WORLD, WHERE YOU'LL BE SPOILED FOR CHOICE WITH AN AMAZING SELECTION OF EATERIES TO DISCOVER. WE REVEAL FIVE SUPERB RESTAURANTS not to BE missED. LIVELY Delivering a “no-nonsense fine dining experience with high quality yet non-luxurious products”, Sicilian-Norwegian chef Christian Puglisi brings his cross-cultural, world-class culinary pedigree to Relæ. Drawing upon immaculately sourced ingredients, chef Puglisi brings diners closer to the kitchen in a fast, dynamic atmosphere. His wildly popular restaurant in Nørrebro has lit the world’s gastronomy scene abuzz, where Relæ cuts through the excesses of gourmet dining and any stiff formality has been removed entirely. Expect dishes such as the signature vinegar-pickled mackerel with cold cauliflower and lemon purée. The tasting menu price is an absolute steal and the dining experience is one of Copenhagen’s best. The Relæ team has also opened a casual dining venture just across the road, Manfreds & Vin, along with a smash-hit pizzeria called Bæst, which are both also well-worth visiting. 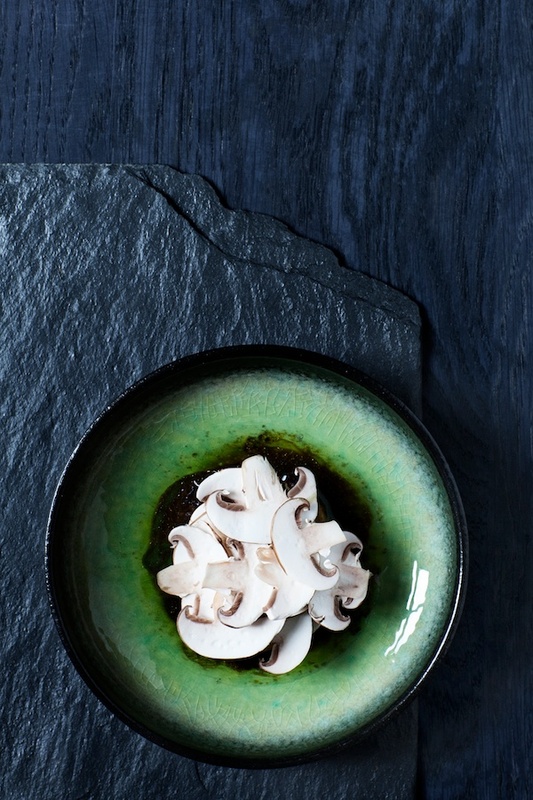 SOPHISTICATED When Noma co-owner Claus Meyer and ex-Noma chef Torsten Vilgaard decided to open a new fine dining establishment in 2013, everyone on Copenhagen’s culinary scene took notice. Two years on, it is the innovative menu, superb service and modern interior that has carried the restaurant’s reputation worldwide, not the big names behind it. For a total sensory experience with a Nordic touch, opt for the ambitious 5 or 7-course menu featuring incredible combinations like white asparagus and Norwegian scallops with green rhubarb and green strawberry, and veal sweetbread glazed with Vadouvan, grilled silver onions and green gooseberries. Plated to absolute perfection these Michelin-starred masterpieces will smash any expectations. CHIC Central, affordable and a little edgy, Uformel comes to the streets of Copenhagen from the owners behind the sophisticated dining institution, formel B. Working close with Danish farmers to ensure the highest quality of produce and ingredients are used across the menu, this gem of a restaurant focuses on leaving behind the rules to allow much-needed space for the creativity of chefs to flourish. Dishes are divinely small so ordering a few courses for lunch or dinner is standard. Meaning ‘informal’ in Danish, Uformel sets a casual yet moody ambience to dine in with dark décor, soft background Jazz music and low lighting. Expect an innovative menu and well-crafted cocktails with a welcomed side of friendly service.